And yet it still won't confirm a successor. 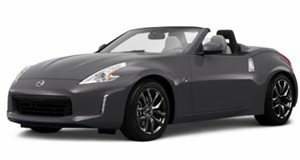 The current Nissan 37Z is old. Compared to its competition, you’d think it’d no longer be relevant. But it is, and Nissan is sticking with it for now. The news comes from , who spoke with Michael Bunce, vice president of product planning for Nissan North America. “We’re not going to walk away from the nameplate, and it’s certainly something we’re studying and working through right now,” Bunce said. That’s all fine and good, but the sale numbers tell a different story. For example, . By comparison, Ford moved almost 82,000 Mustangs in the same time period. Even Dodge sold an impressive number of Challengers, over 64,000. Based on those figures, the death of the 370Z seems like a sure thing. What’s keeping it alive? History. “It’s always been part of Nissan heritage,” Bunce continued. “And I think it’s fair to say, even if you’re not a car enthusiast and you mention 240 or 370, most people would say ‘Nissan’ or ‘Datsun’ right after that.” Another interesting thing Nissan has noticed is that less expensive sports cars, such as the Subaru BRZ and Toyota 86 twins, aren’t exactly selling in high numbers either, despite costing less than the 370Z. 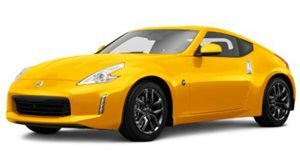 Point being, Nissan is able to continue pricing the 370Z at its current amount without issue. In addition, the car still serves as a halo model of sorts. It still contributes to Nissan selling more mainstream vehicles. “We know that any investment you make in Z does have a payback in terms of its impact to our brand,” said Bunce. The car is an “important asset” and “it’s not going anywhere.” So, what about the next generation Z car? Not surprisingly, Bunce refused to comment, but he did not deny that it was the end of the line for Nissan’s iconic sports car.